Google Sponsored Promotion ads, also known as GSP ads, can be a great additional source of traffic due to a low cost per click. Since not a lot of advertisers tend to focus heavily on GSP ads, you can use this as an opportunity to reach more target prospects for your business. Target your complements and competitors. Complements are businesses, partners, or software that your target audience uses as a complement to your product or service. For example, a complement to Aweber, GetResponse, or ActiveCampaign could be Instapage or LeadPages. 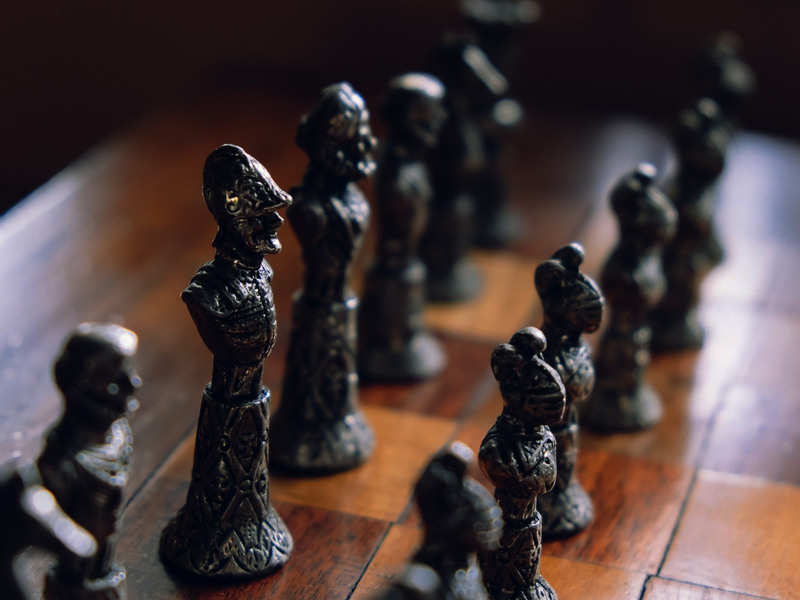 Competitors are the businesses that are in direct competition with your business or offering. For example, a competitor to Aweber would be GetResponse. Ready to get started? Follow the steps below to create your first GSP ad. 1. Create a new "Display Network only" campaign. 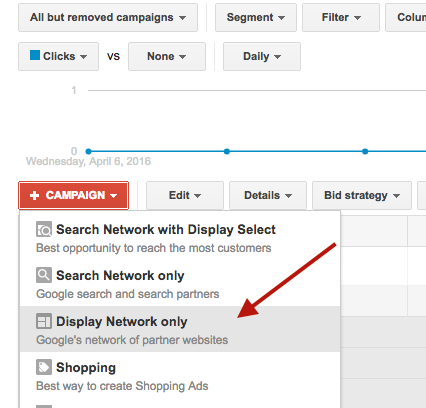 Go to your AdWords account and click on "Create a New Campaign," and click on "Display Network Only." 2. 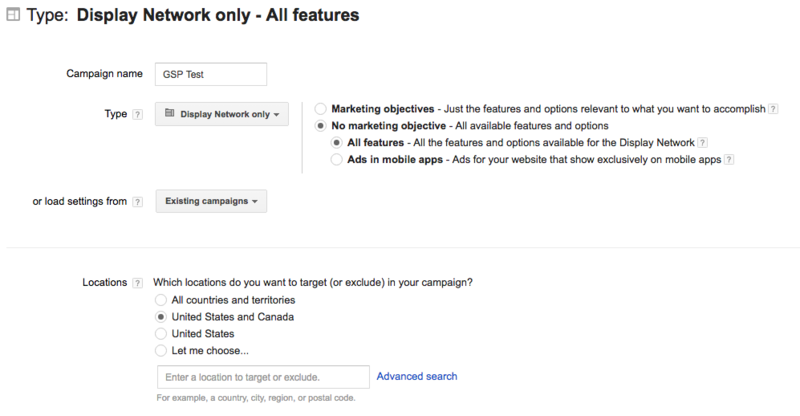 Enter in a campaign name, click on "No marketing objective", select "All features", choose the location you want to target, your bidding strategy, and budget. 3. Then, click on "Save and continue." 4. Next, enter an Ad Group name. This will be the name of either your complement or competitor. 5. Choose a max CPC bid. 6. 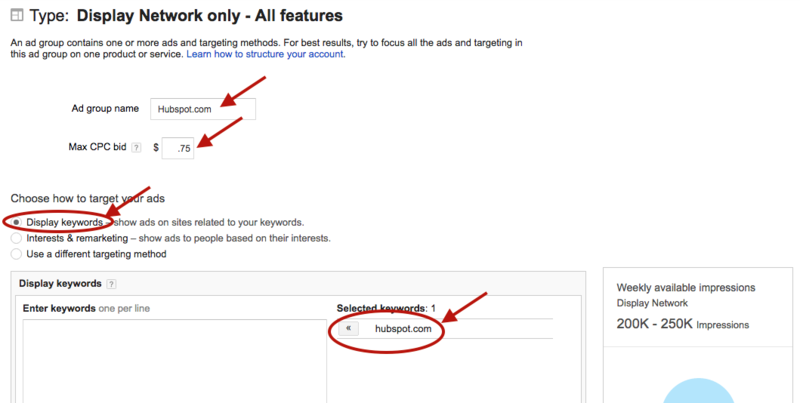 Choose "Display keywords" for targeting, and enter in the website URL or your complement or competitor. This is how you target users of your competitors and complements. Essentially, you will be showing up as a Gmail ad whenever a user has received one of your complement or competitor emails. 7. 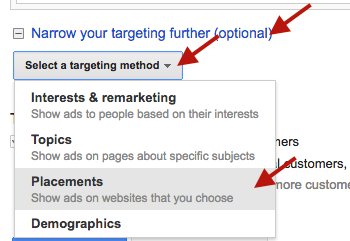 Next, click on "Narrow your targeting further (optional)" and choose "Placements" as your Targeting Method. 8. 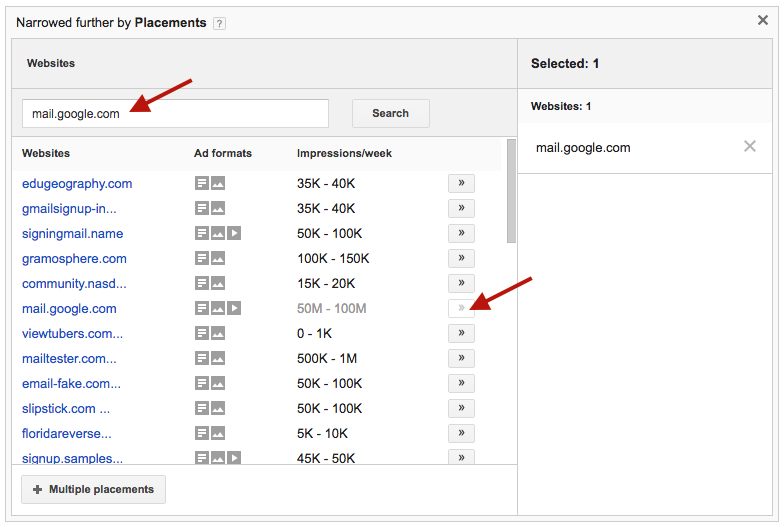 Search for "mail.google.com" and select that URL as a Placement targeting option. This tells Google to show up only in Gmail inboxes. 9. Click "Save and continue." 10. 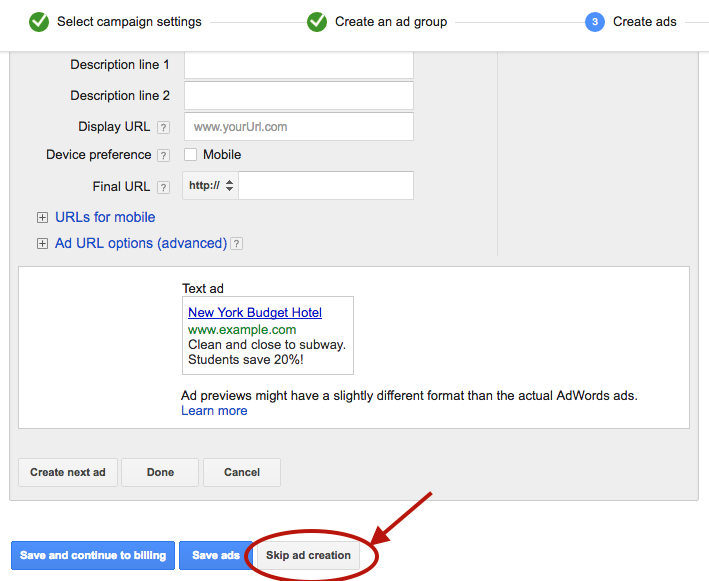 Then, on the Ad Creation Page, click on "Skip ad creation." 11. Once you're inside the "Ads" tab of your account, click on the red button "Ad" and "Ad Gallery" in the drop-down menu. 12. Click on "Gmail Ads". This is where you will create your Gmail ads. 13. Click on "Gmail image template". 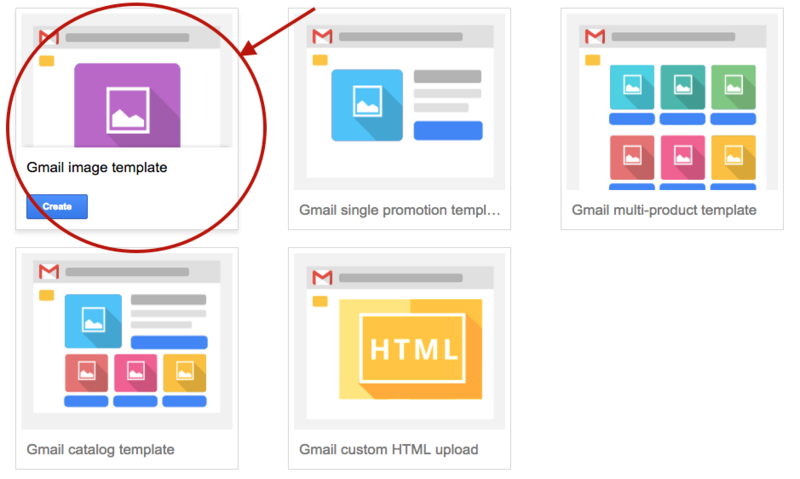 There are many different templates you can use for a Gmail ad, and what you pick is up to you. For simplicity, we recommend choosing "Gmail image template". The best part about this is that you can split-test different variations of these. 15. Click "Save" and you're done! 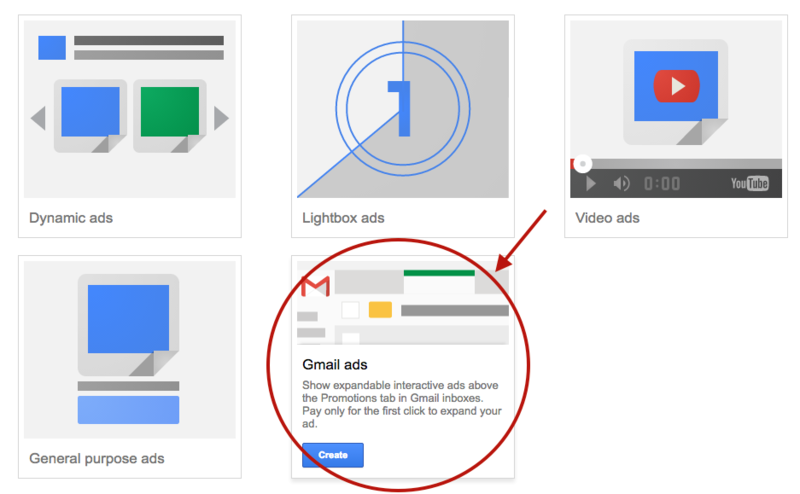 To learn more about Google Sponsored Promotion Ads and the strategies behind it, click here to sign up for our webinar on How to (Legally) "Steal" Users From Your Competitors with Gmail Ads.